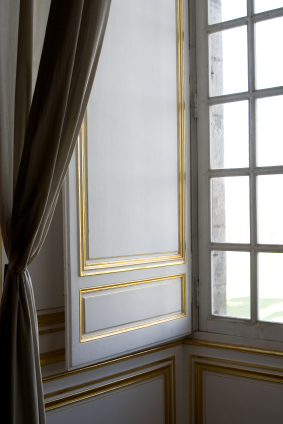 Interior design has always played a vital role in the culture of France and the lifestyle of its people. Whatever the project, the tradition of artisanship deeply informs the French approach to home decoration and design. Specialist finishes in parquet, plasterwork and stone, in gilding and in fabrics, all contribute to the quintessential ‘French look’. And in these and many other areas, it is gratifying to report that decorating expertise, resources and solutions abound in France today. Choosing from this abundance of resources can be difficult, we know. For this reason, at your service is proud to offer the services of numerous English-speaking decorators. We work closely with our clients to help them articulate their design vision, match ideas to budgets, find the right balance between innovation and tradition, seek out the best professionals and manage the project through to satisfactory completion. From space planning and specific room design schemes to curtain making, upholstery and furniture sourcing our English-speaking team will really make a difference in the look and finish of your interior. For some clients the project is a 19th or early 20th century Paris ‘Haussmannien’ apartment which they own or rent. Others may be looking for a more contemporary design in their living space. Either way, our team’s extensive experience with renovation and decoration in this sector allows us to offer highly practical and cost-effective solutions, tailored to individual budget requirements and all sizes of project.